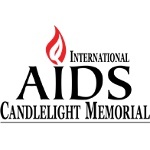 International AIDS Candlelight Memorial is an annual campaign held on the third Sunday in May. It is coordinated by GNP+ – Global Network of People Living with HIV. The first Candlelight Memorial was held in 1983 in San Francisco. At the time, very little was known about HIV and AIDS. Many people still thought that the disease only affected gay men, people with HIV/AIDS had almost no access to treatment and no political support. Knowing they would die withing several months, four young man from the Castro District coordinated a small vigil under the motto “Fighting for Our Lives”. Thousands of people supported their idea, and the first vigil inspired a movement aimed at raising awareness of HIV/AIDS throughout the world. On the third Sunday in May each year, millions of people light candles to honor those who died of AIDS and demonstrate their solidarity with people living with HIV. Since 2011, International AIDS Candlelight Memorial has been coordinated by GNP+. It is considered an important civil-society led effort that brings together people in more than 100 countries. It helps raise social conscience about HIV and AIDS, highlight the importance of HIV prevention, treatment, care and support.